One of the best and most thorough medical treatises on practical uses and healing properties of wine, beer, and fermented liquors. Daniel Tauvry was a relatively unknown French physician, even though he published a number of relevant medical treatises. However, none were or are more valuable and influential than ‘Practice of Acute Diseases’ or ‘Fermentation of Liquors’. 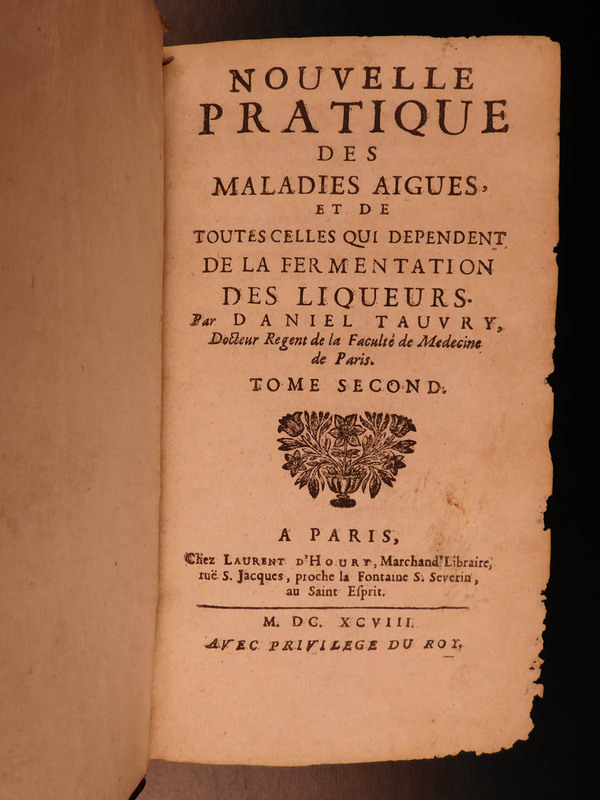 Nouvelle Pratique des maladies aiguës, et de toutes celles qui dépendent de la fermentation des liquers. Paris: Laurent d’Houry, 1698. First edition.